Yup, that's right, even though it's actually aimed at young kids we took a ride or two on the Bushwacker roller coaster (at Ratanga Junction). The ride wasn't really fast enough, and finished way too quickly. Posted in General and tagged ratanga, theme park on Saturday, 7 July, 2012 by Paul. 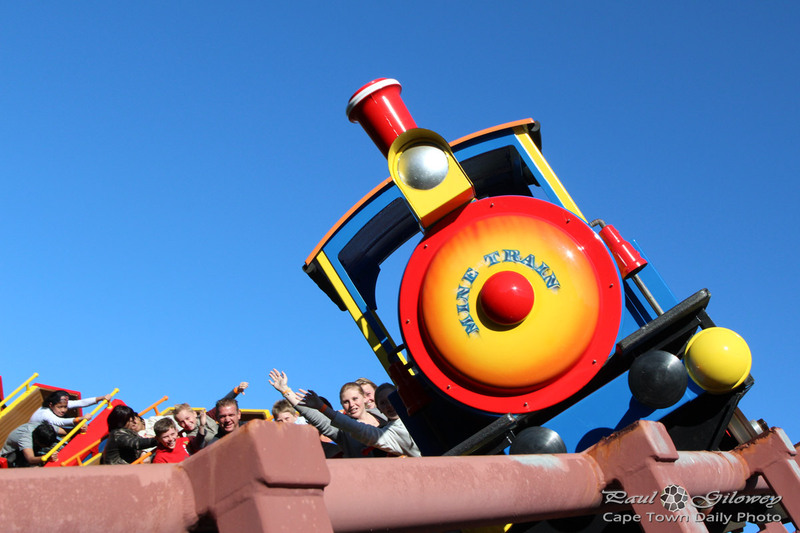 From my previous photo you probably noticed that we visited Ratanga Junction, our local theme park. Kerry-Anne bought one of the Groupon deals that gave us 10 tickets to visit the theme park at a massive price reduction. 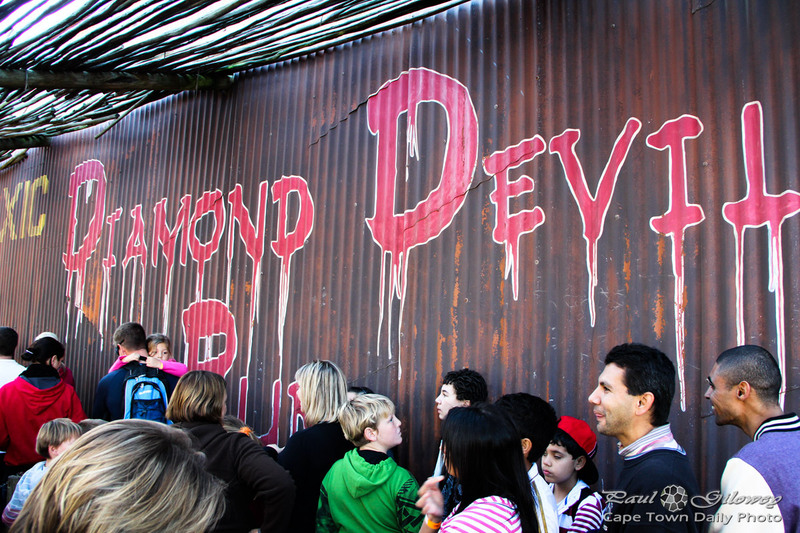 We voted this ride, Diamond Devil (the one in my previous photo) as the third best ride in the park. 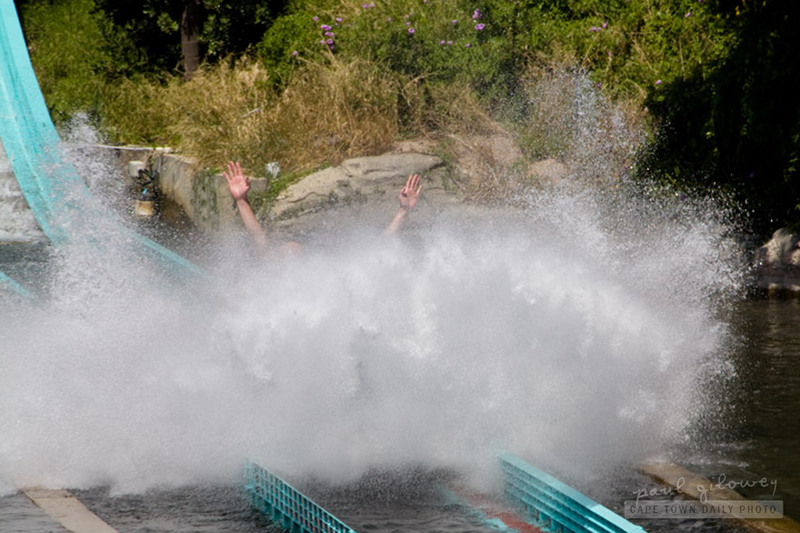 The number one position, naturally, went to the park's twisting-two-times-looping roller coaster, the Cobra (check this video), and the number two position most certainly always goes to Monkey Falls. Posted in General and tagged ratanga, theme park on Friday, 6 July, 2012 by Paul. Posted in General and tagged ratanga, theme park on Thursday, 5 July, 2012 by Paul. I've sung Ratanga Junction's praises in my last two posts - so to add some balance to the mix I thought I'd express my opinion about the food outlets trading in the theme park. As with any theme park, I guess, one's not allowed to bring food or drinks into the park - which means that the park's able to charge a premium for food that's not of a particular high quality. The situation basically feels to me like: "eat what there is and pay our price, or starve". Now, I guess I should confess that I haven't visited Ratanga on a normal-operating day for a couple of years, so it's possible that I wouldn't feel as ripped off and dissatisfied as I did those years back. It's also possible that folk who love greasy fast food wouldn't mind paying premium to enjoy lunch in "The wildest place in Africa". 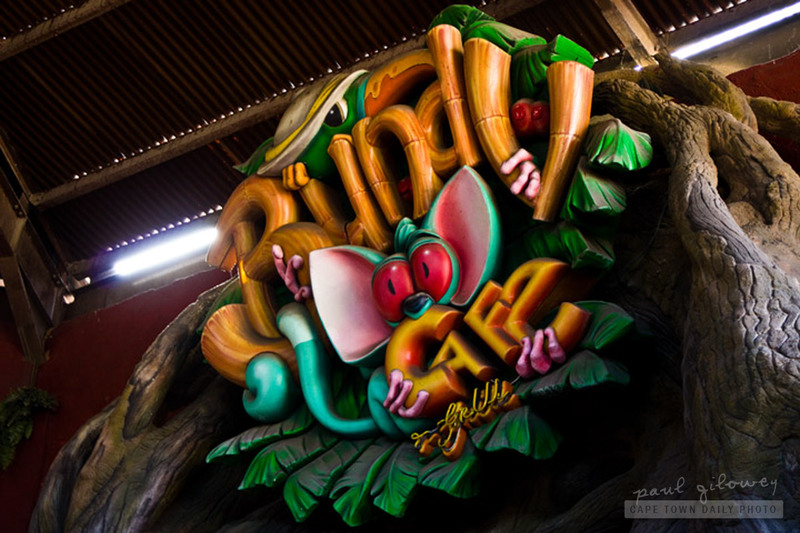 What's your experience of Ratanga Junction's catering been? 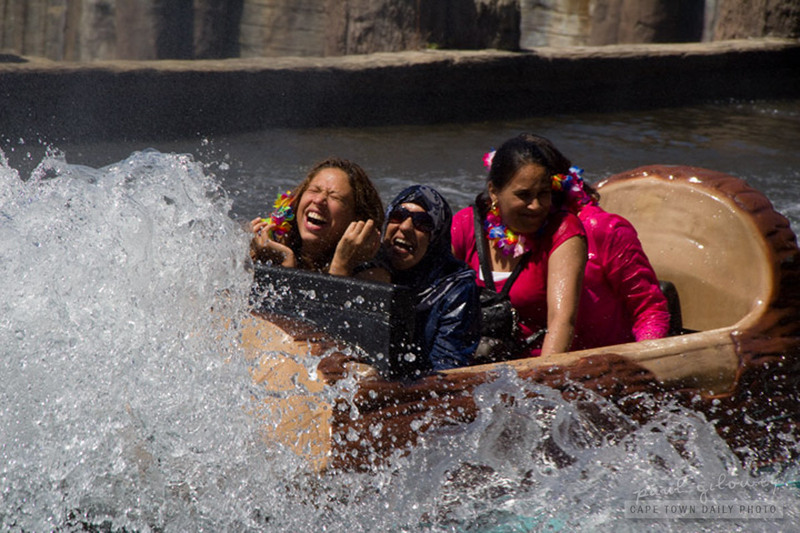 How about similar theme parks? Am I being silly, are they all pretty much the same? Posted in Activities and tagged fast food, ratanga, theme park on Friday, 9 December, 2011 by Paul. 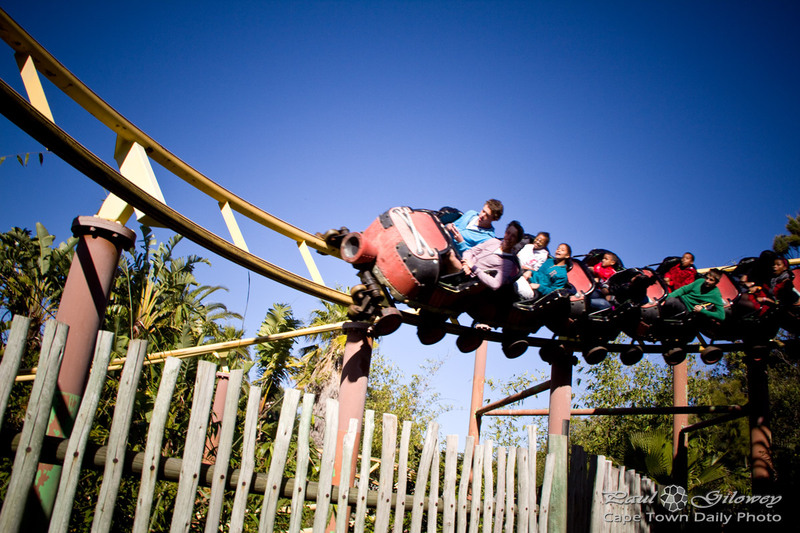 Most people, when asked which ride they love most at Ratanga Junction, will answer "The Cobra" (the big rollercoaster that you're able to see, sticking out like a sore thumb, when driving past along the N1 highway). 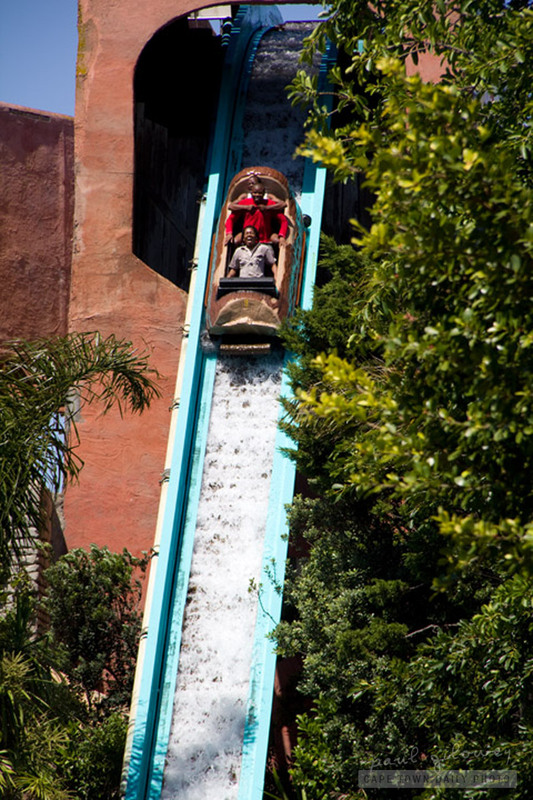 As I mentioned to Jonathan in a comment on my previous post - for me, the ideal day at Ratanga Junction would consist of numerous consecutive rides on The Cobra, Monkey Falls and Crocodile Gorge. 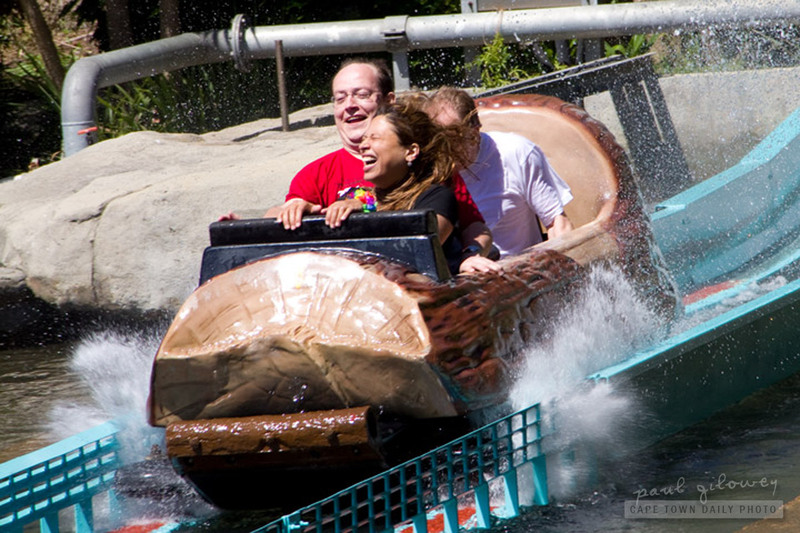 What are your favourite theme-park rides? We struck it lucky one day and visited the theme park on a quiet day. There was no queuing to speak of and we literally road The Cobra a dozen or more times! It was fantastic! 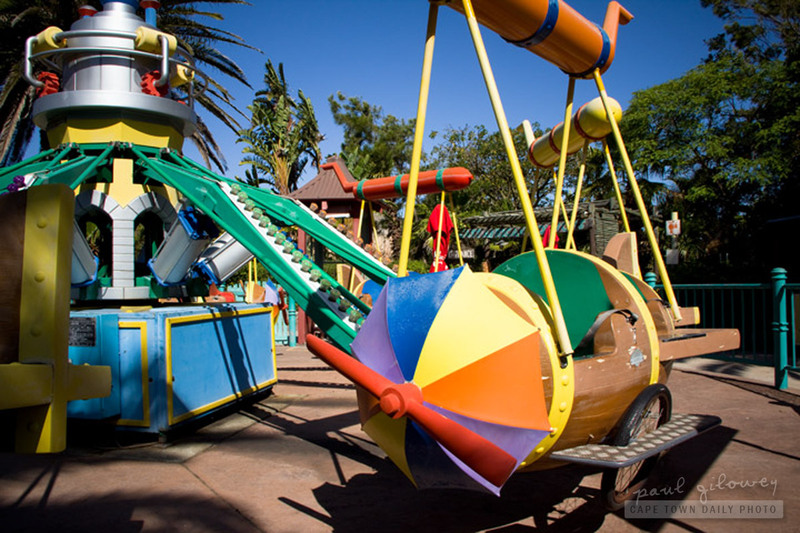 Posted in Activities and tagged ratanga, theme park on Thursday, 8 December, 2011 by Paul. Click on a few of the photos below tho see what I mean. 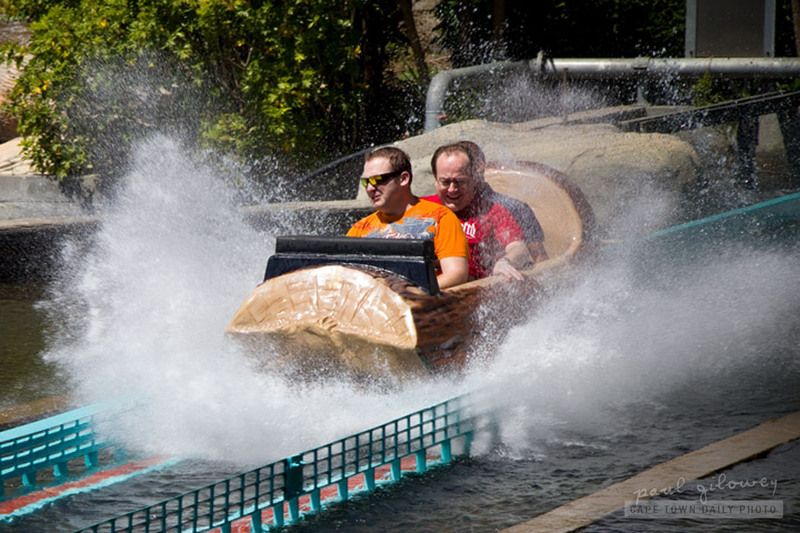 Posted in Activities and tagged theme park on Wednesday, 7 December, 2011 by Paul.